I created Thyroid Nation as a platform for all methodologies, protocols, regimines etc. because no two people are alike. No one has the same genes, same upbringing, same reactions to food or same environment, as anyone else on the entire planet. Therefore, there is no one way to heal, cure, help or put into remission, thyroid disease of any kind. In this way, we were all beautifully, intentionally created….differently! Goitrogenic compounds like “thiocyanate” can inhibit thyroid function by temporarily suppressing iodine absorption and utilization. In addition to being necessary for healthy thyroid function, iodine is critical to good health. In a study published in Clinical Nutrition Research 2014, researchers were able to confirm that blocking iodine caused a pro-inflammatory reaction against the thyroid gland (bad). The researchers found this association in several geographic regions of the world where iodine intake was low and raw cruciferous vegetable intake was high. They concluded, “The consumption of goitrogenic food, such as cruciferous vegetables, showed a positive association with [thyroid cancer] risk.” When you consume large amounts of goitrogens, it can also put a lot of stress on your reproductive organs (prostate, breast). In relation to cruciferous vegetables, they are have been identified as “goitrogenic” because they have the potential to block iodine absorption. This was a concern in the 1950’s, as then, the primary reason for hypothyroidism was due to iodine deficiency, and any further changes in iodine levels were potentially problematic. However, since public efforts have been made to add iodine to the salt supplies of most industrialized countries, Hashimoto’s has become the primary reason for hypothyroidism, responsible for 90-97% of cases of hypothyroidism in the United States. Iodine deficiency is not wide spread in people with Hashimoto’s, and thus eating cruciferous vegetables (unless a person is otherwise sensitive to them) is perfectly healthy for people with Hashimoto’s and should not impact thyroid function. Goitrogenic foods ARE healthy foods any way you look at it. They are! I am not here to debate that fact, but to provide you with information. Information so that you can make your own, responsible choice as to what works for you. Listen to your body. It will tell you everything you need to know. For me and my body type, I don’t want to take any chances with my super foods. Any ingredients that I add to my smoothies needs to be something I am comfortable with. If I CHOOSE to eat or add goitrogens to my diet, that is my choice. But, in my smoothies? I want a choice on whether it has goitrogens in them or not. Now, there is a solution. Thyroid Greens. Greens are powder blends that can be combined with water, juices or smoothies to add a healthy boost to your daily food intake. Greens can help your hair and nails grow faster, improve gastrointestinal function, bind toxins like heavy metals and help you feel lighter and more energetic. Greens are fundamental to supporting healthy blood sugar levels and blood pressure, as well as cholesterol ratios. Thyroid Greens has fantastic foods and is goitrogen free. Many of the brands out there are loaded with goitrogens! I mean L-O-A-D-E-D! Which is fine, if that is what you choose. However, drinking greens that contain these RAW goitrogens every single day, could cause dramatic consequences to your thyroid and reproductive organs, despite all the other benefits from these superfoods. Notice I added could….who am I to really say. The World’s First and Only THYROID-FRIENDLY Formula! Why? Because Thyroid Greens is 100% goitrogen-free. This means there are no grasses, seaweed, or other greens that are goitrogenic. Goitrogens are substances – whether in drugs, chemicals, or foods – that some say, disrupt the production of thyroid hormones by interfering with iodine uptake in the thyroid gland. This vegan formula is nutrient dense and will drench your cells in health! It’s designed with your thyroid in mind! Choose wisely. Eat healthy. Moderation is key. See what works for you and stick with it. I prefer to cook my vegetables as some sources show that cooking these foods may destroy the goitrogenic activity. I like to err on the side of caution, but again, that is me! 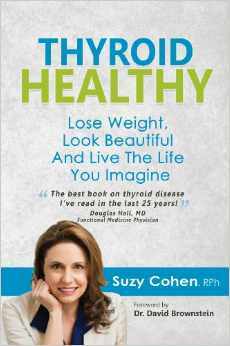 Listen to Suzy as she describes her newest product and what is in it, Thyroid Greens. 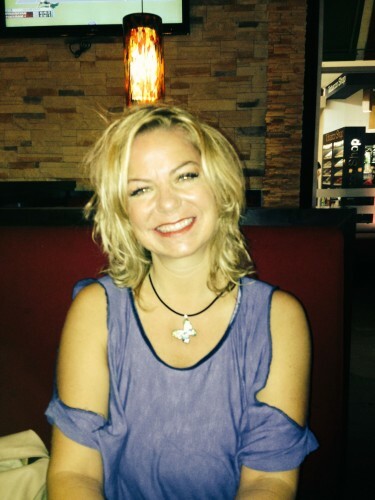 Danna Bowman is the founder of Thyroid Nation. She developed Hashimoto’s after years of unknowingly suffering with hypothyroidism, hormonal imbalances and adrenal fatigue… a real-life roller coaster. Hypothyroidism runs in her family but it was never discussed, unfortunately. Her husband, 2 kids and her, picked up and moved, sight unseen, from Texas to Costa Rica in 2008. She was accurately diagnosed, however, they only offer Levothyroxine or Thyroidectomy as a solution for the disease. After a year of suffering, she turned to the internet and found a doctor in Arizona that would consult with her and prescribe Natural Dessicated Thyroid. After learning and realizing the misinformation and lack of information in Costa Rica and worldwide, she founded the website to help educate others. In 2015, she launched Thyroid Nation RADIO, a weekly thyroid and health, LIVE radio show with her co-host, Tiffany Mladinich. In 2016, together they created a thyroid-friendly, face/body product line of essential oils blends that smell fabulous and are good for you. Questions or anything to ask about Thyroid Greens? We want your thoughts –Please! You might be able to help someone else in need with your comment. Thanks for a great resource! What about fermented cabbage – sauerkraut? Does fermenting inactivate the goitrogenic compounds?